As a small (but mighty) team, Charities Review Council relies on the contributions of paid interns to deliver on our mission. This week, we’re excited to welcome Lauren Holzem to the Council team. Read on to learn more about Lauren, her connection to the Council’s work, favorite nonprofit causes, and more! 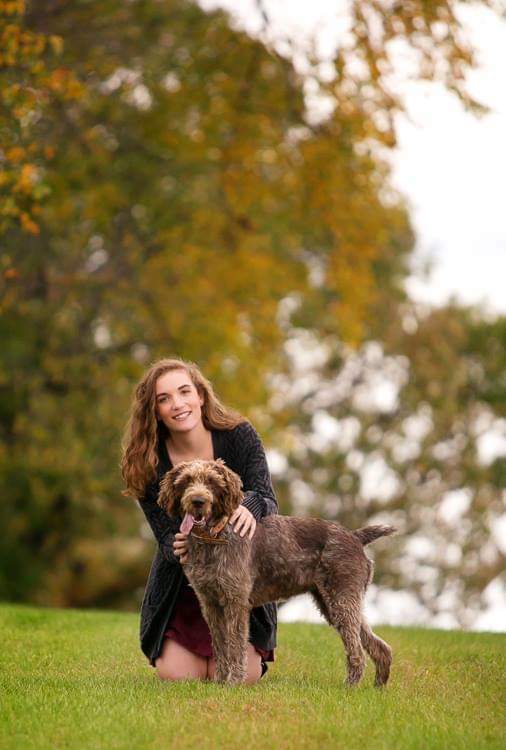 Lauren is a Junior at Augsburg University majoring in Political Science with a concentration in Public Policy and minoring in Sociology. Originally from Nowthen, Minnesota, Lauren is familiar with both rural and urban life. She is looking forward to working with donors and nonprofits during her time with the Council! What excites you about joining Charities Review Council’s team? I am excited to learn more about Charities Review Council’s donor and nonprofit partners, and how we can work together to strengthen the sector. I am looking forward to developing skills that will help me in my future career. I hope to someday become a Policy Advocate where I am able to work with nonprofits and other organizations to further policies that they would like to see at a state and federal level. At Charities Review Council, I’ll be supporting nonprofits as they create or strengthen internal policies that help them deliver on their mission. It will serve as a great experience for roles in the future. What is your favorite nonprofit or cause? My favorite nonprofit is NAMI Minnesota, a Charities Review Council Meets Standards® nonprofit. Mental illness is something very close to my heart, and they do a lot of great things to spread awareness and end the stigma surrounding mental health. I am also very interested in issues of racial equity and creating a more welcoming and equitable community for all, which Charities Review Council is very committed to. I look forward to learning more about the Diversity, Equity & Inclusion Toolkit and how nonprofits are using the Toolkit to build internal strength. How have you seen nonprofits play a role in community? Nonprofits play a huge role in every community. Not only do they provide resources for those within the community, but they also create a space in which all people are welcome to gather and get to know one another. In Elk River, I am involved with an organization called Thumbs Up High which puts on community events like a 5k to raise awareness about suicide and mental health issues. Through this group, I have been able to connect with a variety of different people in my community to come together to rally around important issues. Living in the Twin Cities means there is always something to do! My friends and I like to go out and explore the various neighborhoods in Minneapolis and St. Paul. We are usually able to find a great place to eat, and something fun to do on our adventures. Do you have any hidden gems I need to know about? Let me know! I love to play and watch rugby! In high school, I played on a club team for 4 years as the scrum-half or number 9, which is the position which links the forwards (or pack) with the backs. I would do things like put the ball into the scrum and pass the ball out after a tackle. Something that surprises a lot of people about rugby is that you cannot pass the ball forwards, you must pass it backward or sideways. It can be a difficult game to get familiar with, but once you understand the rules, it is a lot of fun to play and watch! I also have an adorable dog named Willow. She is a 7-year-old German Wirehaired Pointer. Bring your dog to work day, anyone? Sign me up! We’re thrilled to have Lauren with us this spring! Join us in welcoming Lauren to the Council team by sending a quick note (and favorite twin cities hidden gems) to lauren@smartgivers.org.